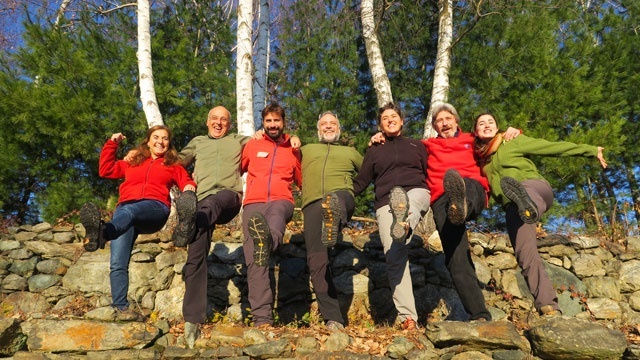 The SantiaGoToRome project involves developing and promoting the longest “slow” travel itinerary of Europe: about 3,000 km to go on foot and by bicycle, combining the Camino de Santiago and the Via Francigena. The idea came out of the Italian Association Movimento Lento (“Slow Movement”) that has for many years been committed to the promotion of “slow travel”. We want to tell to the hundreds of thousands people who walk along the Camino de Santiago every year that it is actually possible to travel “against the flow”, towards France and Italy. What does the project consist of? A young Movimento Lento’s associate, Sara Pezzuto, will leave on her own on the 20th of March from Muxia, on the Atlantic Ocean, and, after reaching Finisterre and Santiago, she will walk “the wrong way” along the “Camino Francés” to the Pyrenees. 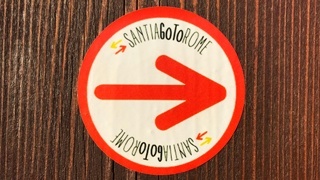 She will take with her about 3,500 adhesive signposts (very much like those which guide walkers and hikers along the Via Francigena) bearing a red arrow and the SantiaGoToRome's logo, that will be placed at the main crossroads along the route. In fact, today the Camino de Santiago is generally marked in only one direction - westwards - which makes it hard to walk in the opposite direction for those who want to go eastwards and to Italy. We do not expect to carry out a complete and perfect signposting. We just want to tell to the pilgrims that after the Camino de Santiago, they may continue their journey to Rome. Some adhesive signposts will bear the address of the website www.santiagotorome.org, from where it will be possible to download maps and GPS tracks, and to find itinerary information. If our crowdfunding campaign succeeds, we will also develop the SantiaGoToRome App - free downloadable both in the version iOS and Android - so to give everybody the chance to easely travel along the whole Santiago-Rome route. For the Italian part, it will be integrated with the official Via Francigena App and will also promote other great European itineraries. Who is this project meant for? The main beneficiaries of the project will be those walkers and cyclists who after doing the Camino de Santiago, search for new destinations, and may find in the Via Francigena and the other European routes a logical continuation of their journey. By promoting the route, the areas crossed by it will benefit from an exponential increase in flow of travelers both national and, above all, international. Tour Operators, hoteliers, travel guides, service providers, local associations and companies will all benefit and act in the success of this project of great cultural, social, and economic value. The project is sponsored by theEuropean Association of Vie Francigene. An example of the poster-map with the mosaic of faces of the supporters that will be in the background of the SantiaGoToRome map (the present faces are temporary). If we surpass our third goal, the funds will be used to promote the project through a new trip-event through France, and for promotion on social media. All the figures include the errand of Ulule of the 8% VAT included. 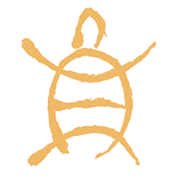 TheMovimento Lento is a cultural association that promotes "slow travel" as a lifestyle. For years we have used the most advanced technology to rediscover ancient roads, plot new itineraries, and promote slow travel in Italy. 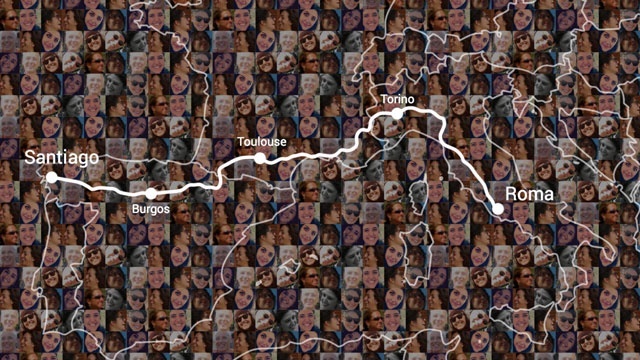 Your photograph will be inserted in the mosaic of faces that will be in the background of the SantiaGoToRome map. The image will be sent to you as a high resolution jpg file and you can print it any size you wish. It will also be printed as a poster and displayed in some hostels along the Via Francigena and the Camino de Santiago, as well as published online. In addition to the reward of the previous category. Sara will write an ebook of the story of her trip, along with the best photos. She will put your name in the acknowledgements at the start of the book, and will send the ebook to you by email. Your name will be reported in the description of the stopover on the trail, on the website www.santiagotorome.org and on the app. Sara will cite your name in a Facebook post, dedicating a trail stopover to you. She will take a photo along the path to which your name will be attached and she will email it to you in high resolution. She will mail you a postcard from the Camino de Santiago with a message and a stamp from the hostel of the day. You will be the guest of honor at a “slow” weekend at our travelers lodge, in the hills of Piedmont. The reward includes a night at the B&B in a shared room. Become the sponsor of a SantiaGoToRome trail stopover under your name or the name of your company. Your brand name will appear in the ebook and the map poster and will be published for at least 2 years in the trail stopover section of our website www.santiagotorome.org. If we reach the target necessary to develop the app, you will also be present in the trail stopover section on the app. You will also be cited on social media in at least one post. You will additionally receive a signpost to hang in your office or your house, certifying that you supported our project. Become the sponsor of five SantiaGoToRome trail stopovers under your name or the name of your company. Your brand name will appear in the ebook and the map poster and will be published for at least 2 years in the trail stopover section of our website www.santiagotorome.org. If we reach the target necessary to develop the app, you will also be present in the trail stopovers section on the app. You will also be cited on social media in at least five post. Become the sponsor of ten SantiaGoToRome trail stopovers under your name or the name of your company. Your brand name will appear in the ebook and the map poster and will be published for at least 2 years in the trail stopovers section of our website www.santiagotorome.org. If we reach the target necessary to develop the app, you will also be present in the trail stopovers section on the app. You will also be cited on social media in at least five post. Your brand name will be published on the homepage of the website www.santiagotorome.org and will be put on the “supporters” page of the app for at least 1 year. It will also come out at least 2 times in the Slow Travel (Movimento Lento) newsletter, sent to more than 30,000 addresses. It will also appear in the project’s map poster. Your brand name with appear on the www.santiagotorome.org homepage for 2 years with a full width banner, as well as on the homepage of the app, in all the trail stopovers on the website and app, highlighted in the ebook and on the map poster.